Personal Investor Network - This is the database of investors that you have either been accumulating over the months or years that you have been investing, or it is the database you should begin to keep from this point forward. 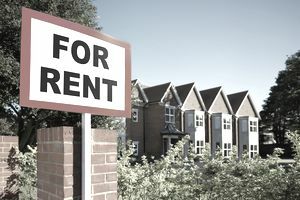 It can include other landlords you have met who own rental property on the same street as you or an old college contact who is also an investor. Investment Clubs - Investment clubs are a useful contact because there is often an email list where members share and advertise properties for sale. If you don’t belong to any, it might be a good idea to join one. You can typically join a real estate investment club for an annual membership fee between $100 and $300. Personal Acquaintances/Relationships - People in real estate are not the only ones who can introduce you to a great investment. Friends, family and professional contacts, such as attorneys or accountants can be great resources to find potential investments. They may be going through a financial hardship themselves, such as a short sale or foreclosure, know someone who is, or saw or heard of a property for sale. They may also have acquaintances of their own who are looking to unload real estate or who know of a great real estate investment opportunity. Your contractors are also a potential source to find leads as they may work for other investors that are looking to sell real estate off-market. There are many different websites where you can conduct a search for potential investment properties. These sites offer a variety of resources with everything from general ‘for sale’ searches to more specific ‘short sale’ and ‘foreclosure’ searches. There are also sites which offer property records and neighborhood information which can help you analyze the investment property. There are even sites where you can bid on live housing auctions. There are several ways you can use Realtors in your search for rental properties. You can call the listing agent for listings you drive by and/or see online. You can speak to real estate offices, and in particular, Realtors designated in certain towns or parts of towns to inquire about potential investment property opportunities. Listing agents in some offices won’t always advertise listings on the MLS. Some agents will only provide these listings to their actual contacts, therefore, you must be in the Realtor's database as a contact to be made aware of these semi-off-market properties. Realtors have access to the MLS, and their MLS database may or may not be listed on Realtor.com. Print media is a great way to search for local listings. Some of these properties may not be advertised online, so you will not have as much competition for them. Newspapers - Newspapers are a great source to find ‘for sale by owner’ properties as well as Realtor listed properties. Make sure to look at the main newspaper for your chosen region, as well as smaller community newspapers that are tailored more to specific cities. Local Marketing Publications - You can find these smaller publications in many grocery stores. They are also a potential place to find properties, as Realtor offices will often advertise their listings in these pamphlets. Property auctions can be a great place to find a real estate deal. There are several types of auctions. Online Auctions: You can search for investment properties on online auction sites such as Auction.com. Sheriff Sale Auctions: These auctions are usually conducted in your county’s city hall, hall of records, courthouse, or even at the Sheriff’s office. Foreclosures are first sold to the general public at these sales. If the foreclosure is not purchased at the auction, the foreclosing lender will then take possession of the property and will usually list the property as an REO (real estate owned) with a local Realtor. Private Auction Companies: These auctions are typically contracted by lenders to sell large numbers of properties at one time. These auctions are generally well advertised and conducted at a local hotel or conference center.